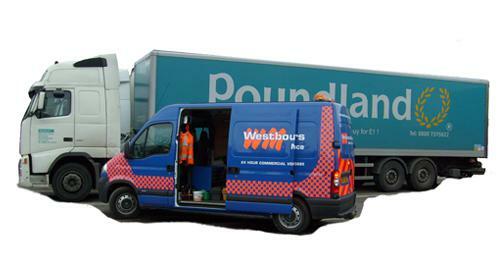 Westbourne Motors promise a speedy, efficient and reliable service to keep commercial vehicles mobile. Over 85% of trucks repaired at the roadside. Fully fitted mobile workshops strategically placed across Southern England to ensure rapid response times. All our technicians are regularly updated with the latest technical information and all changes in vehicle technology. Specialist electrical and hydraulic repairs. Roadside diagnosis and repair for all breakdowns large or small. HGV repair facilities are available at one of our local service centres if a roadside repair cannot be made.